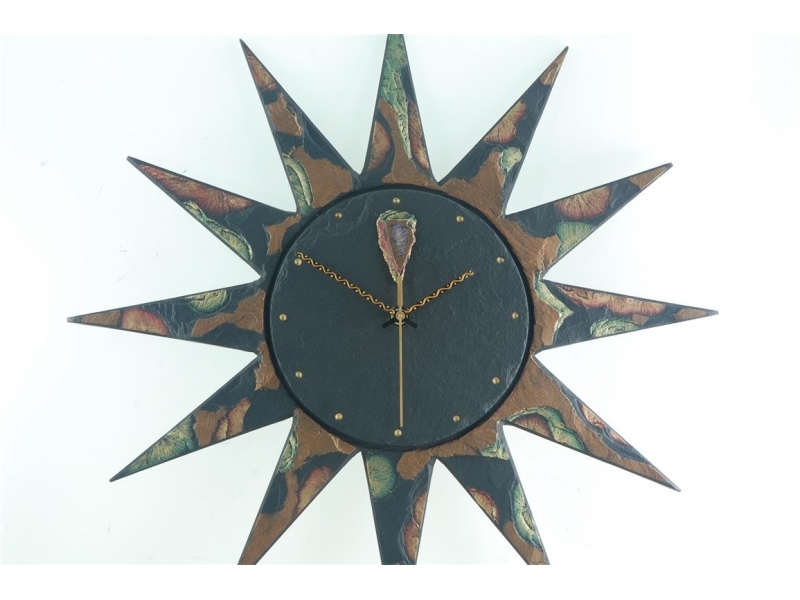 Hard to believe that you could make a slate sun clock! Life is full of surprises. They're there at every corner ready to jump out and awe you. Who would think that making a star or a sun out of slate would ever be possible? Yet here we have a sun, a clock and a piece of slate all in one. 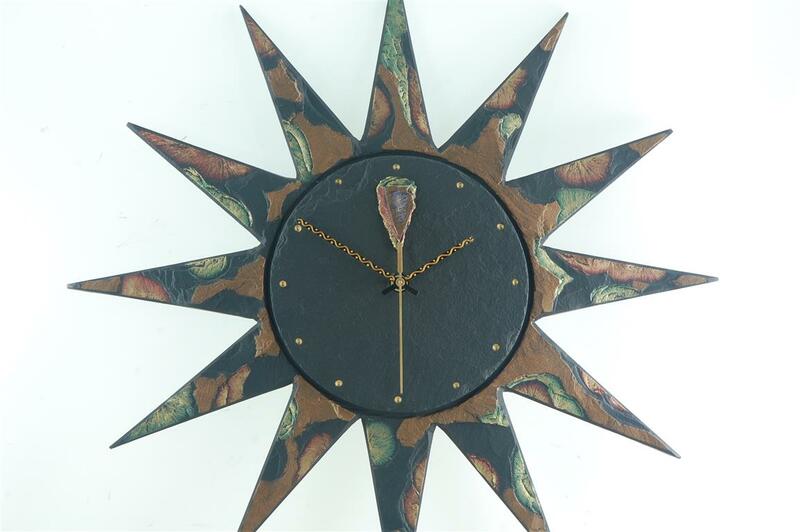 See our Sun Clocks for more details!